WEST SACRAMENTO, CA. – The Sacramento River Cats continued to roll, winning their seventh consecutive game Sunday night as they beat the Round Rock Express 3-2. Andrew Susac scored twice in the win and hit the go-ahead home run in the bottom of the eighth. Susac started the game behind the plate and in the three spot in the lineup in his second River Cats rehab start. A night removed from an 0-for-4 performance, the 25-year-old catcher came through Sunday in a big way for Sacramento. He started a fifth-inning rally with a single to left field, scoring the first River Cats run of the night on Kevin Frandsen’s two-run double. Three innings later, Susac came to the plate with one out and nobody on and crushed a Roman Mendez fastball to deep left field. The ball landed halfway back along the top of the River Cats clubhouse and put the home club up 3-2 with three outs to go. Overall, Susac was 2-for-4 with two runs scored and a home run. He is now 6-for-22 with a double, two home runs, and four RBI between Sacramento and Advanced-A San Jose on his current rehab assignment. In addition to Susac, Frandsen provided a big hit in the fifth inning to get Sacramento back in the game. Trailing 2-0, Susac singled to start the inning and was followed by a single from Mac Williamson. With one away, Frandsen smashed a double to the wall in left-center scoring both Susac and Williamson and tying the game at two. Frandsen was 1-for-3 on the night, with the clutch two-run double his lone hit. Sacramento’s starter Nik Turley (5-6, 4.69) was fantastic on the mound, going seven very strong innings. The southpaw scattered four hits and allowed two runs (one earned) while walking three and striking out three. The seven innings matched his season high, as did his 109 pitches (70 of which were strikes). It was his ninth quality start and the seventh time this season that Turley, just 26, has gone at least six innings while allowing one earned run or less. Brett Bochy (5-0, 2.79) took over for Turley in the eighth and pitched a perfect inning, striking out one. The right-hander was rewarded for his effort with his second win in as many nights. Behind him, Mike Broadway (1-0, 0.99) came on for the ninth and retired the Express in order. Broadway recorded his 12th save (is now 12 of 12 in save opportunities) and lowered his ERA to 0.99. The River Cats have now won seven straight, their longest streak of the year and their longest since winning seven straight from May 21 – 27 last season. Sacramento last won eight straight from July 31 – August 8 of the 2013 season. It’ll be lefty Ty Blach (10-10, 4.48) on the mound tomorrow night for Sacramento. Blach is coming off his team-leading 10th win of the season (T-2nd PCL). Game three will feature a familiar face to River Cats fans, as right-hander Robert Coello (0-0, 0.00) gets the start for Round Rock. Coello was 6-3 with a 3.50 ERA in 11 starts for Sacramento earlier this season. First pitch is set for 7:05 p.m. and the game can be heard live online at rivercats.com and on the air on ESPN 1320. 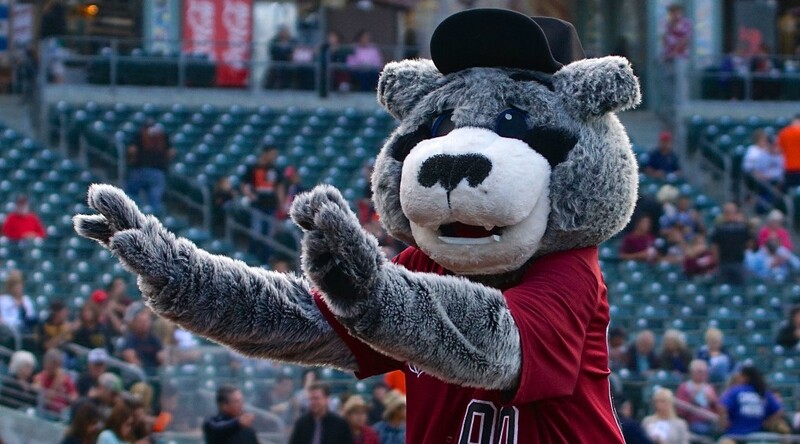 TACOMA, Wash. – The Sacramento River Cats secured a series win against the Tacoma Rainiers, winning their third game of the four-game set 5-3 Thursday night. Mac Williamson’s three-RBI night and a strong start by Chris Stratton contributed to the victory. After three scoreless innings, the top of the order hit three consecutive singles to lead off the fourth inning. During Darren Ford’s run to first base, he had a violent collision with Tacoma’s second baseman Shawn O’Malley. After both players were checked out by their respective trainers, the game continued on, although both were clearly shaken up. Ford and Everth Cabrera’s singles set the stage for Joaquin Arias’ first hit as a River Cat to send Ford home with Sacramento’s first run of the night. Later in the inning, Mac Williamson hit his first double of the night to drive in two more runs for an early 3-0 River Cats lead. After leading off the sixth inning with a walk, Jarrett Parker came around to score on Williamson’s second double of the game to add on to the River Cats’ growing lead. Williamson finished his evening going 2-for-3 with two doubles and three RBI. Thursday night was Joaquin Arias’ first game with the River Cats since being designated for assignment on July 27th and joining the team on August 11th. He went 2-for-4 with a single, a double, and an RBI. Arias was signed as a Free Agent with the San Francisco Giants on December 15, 2011. In his time in San Francisco, he was a part of World Series teams in 2012 and 2014. Stratton pitched well tonight, despite a few hiccups. He tossed 5.1 innings, allowing three runs on five hits while walking three and striking out four. After hitting two batters in the sixth inning and allowing an RBI, Stratton was replaced by Cory Gearrin. Gearrin inherited two baserunners from Stratton, both of whom scored on his watch. With tonight’s win, Stratton has won 3 of 4 last starts and is now 3-4 overall. Mike Broadway recorded his 11th save in as many opportunities. Ryan Lollis was recalled by the San Francisco Giants today, after Nori Aoki was placed on the 7-day concussion list. This is the second time this season Lollis has been called up. His first run with the Giants came on July 3, where he went 0-for-5. With Sacramento this season, Lollis is hitting .333 with four home runs and 29 RBI. Tomorrow’s series finale will send Tommy Hanson (0-5, 8.90) to the mound for the River Cats. Hanson is coming off a rough outing, going just 2.1 innings while allowing 9 runs (7 earned) in a loss against Fresno. In five of his first seven starts, Hanson has failed to make it past the fourth inning. Hanson is averaging 89 pitches, and under 4.1 innings per start. The Rainiers will counter with Adrian Sampson (1-1, 4.50). The River Cats will look to tie their season-high win streak of five games while sweeping Tacoma in the process. First pitch is set for 7:05 p.m. (PT). 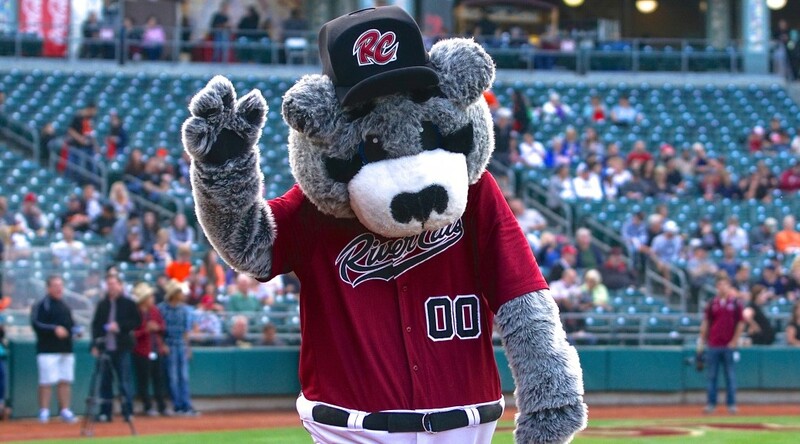 TACOMA, Wash. – The Sacramento River Cats and Rainiers were delayed just over half an hour this morning due to rain, but the wet conditions and late start didn’t faze Sacramento in the least as they picked up their second straight win in Tacoma and third straight overall. Nick Noonan and Darren Ford both homered for the River Cats as Sacramento rolled to a 6-2 victory. Noonan, making just his second start for the River Cats, shined this afternoon. Starting at shortstop, the right-handed hitter was 3-for-4 with a two-run home run in the top of the second inning. The homer put the River Cats up 2-1 and gave them a lead they would not relinquish. Noonan later singled in the fourth inning, driving in two more to extend Sacramento’s lead to 4-1. Ford also contributed to the scoring, blasting a solo home run to left field in the top of the seventh. The home run, which was his second in the last two games, was his 11th of the season. He was 1-for-5 in the game overall. Ford’s home run last night set a new season-high for the outfielder, and he continues to add on. Previously, the most home runs Ford had hit in a season was nine. He reached that mark twice, in both 2007 and 2009. Mac Williamson also had a strong day at the plate, going 2-for-3 with a double and two runs scored. The right-handed hitting outfielder has struggled lately at the plate, going just 2-for-20 over his last five games, but looked much more comfortable in his at bats today. Overall, the River Cats offense tallied six runs on 12 hits. The Sacramento bats have really come to life as of late, having racked up 32 hits and scored 24 runs over their last three games. Ty Blach picked up his 10th win of the season for the River Cats, becoming the first Sacramento starter to reach the double-digit mark this season. The left-hander went five innings and allowed two runs on nine hits and a walk with four strike outs. He benefited from some solid defense behind him as the River Cats turned three double plays to erase a number would-be rallies. Brett Bochy, Steven Okert, and Mike Broadway combined to pitch four shutout innings. Broadway entered the game with two down in the eighth before pitching a scoreless ninth en route to his 10th save of the season. He is a perfect 10/10 in save opportunities and has now lowered his ERA to 1.04. The River Cats and Rainiers will resume things tomorrow night at the regular time with first pitch set for 7:05 p.m. It’ll be Chris Stratton (2-4, 3.52) on the mound for Sacramento. Stratton has been excellent on the road, posting a 2-2 record with a 2.98 ERA in eight road starts. For Tacoma, it’ll be the lefty Roenis Elias (3-1, 8.03). First pitch is set for 7:05 p.m. and the game can be heard live online at rivercats.com and on the air on ESPN 1320. FRESNO, Calif. – It was all Sacramento River Cats in Sunday night’s 9-3 win, as they scored nine unanswered runs in the first seven innings. RBIs from six different players and another masterful performance from Clayton Blackburn highlighted the victory, avoiding a series sweep in the process. The River Cats came out ready to battle the Grizzlies and avoid a series sweep. Darren Ford led off the game with his ninth home run to immediately put Sacramento on the board. He finished his night 3-for-5 with a single, a double, a home run, and two RBIs. Ford, Ryan Lollis, and Juan Perez contributed Sacramento’s three home runs in tonight’s win. They were one homer short of tying their season-high of four home runs in a game. The 2015 record came from the River Cats’ 15-6 win over Salt Lake City where they blasted four home runs, two of which were from Perez. Trevor Brown led off both the second and sixth innings with doubles, one of which was an RBI-double. Tonight’s game saw six doubles from five different players, which was just one shy of the River Cats’ season-high for doubles. Six players contributed to seven doubles in the April 19th game against Salt Lake. One triple away from recording the second cycle in River Cats history, Lollis’ 3-RBI night was key for Sacramento. He finished his night 3-for-4 with a single, a double, and a home run. Tonight marked Lollis’ second 3-RBI game and his fifth multi-RBI game this season. Blackburn had a rough first inning, walking two consecutive batters and loading the bases. He managed to pitch himself out of the jam, and proceeded to retire nine batters in a row, including four strikeouts. Blackburn finished his evening allowing just two hits while walking four and striking out five in 5.1 innings of shutout baseball. He was replaced by Steven Okert, who picked up where Blackburn left off, striking out two and retiring all five of the batters he faced during his 1.2 shutout innings. Curtis Partch struggled during his outing, allowing all three of Fresno’s runs on five hits, but Mike Broadway’s two strikeouts in the ninth solidified the River Cats’ win. Blackburn picked up his eighth win and lowered his ERA to 3.30 in tonight’s victory. After a scheduled day off Monday, the River Cats will resume their 14-day road trip in Tacoma. Sacramento leads the season series 7-4 and won their last four-game set 3-1, which was also held at Cheney Stadium. LHP Nik Turley (5-6, 4.86) will be on the mound for the River Cats. Turley has been inconsistent, allowing 5+ runs in 5 starts, but also allowing 2 or fewer runs 7 times. His last outing against Tacoma came at Raley Field on June 7th when he allowed 7 runs on 6 hits in just 2.0 innings. The Rainiers’ starting pitcher is to be announced. First pitch is set for 7:05 p.m. (PT). 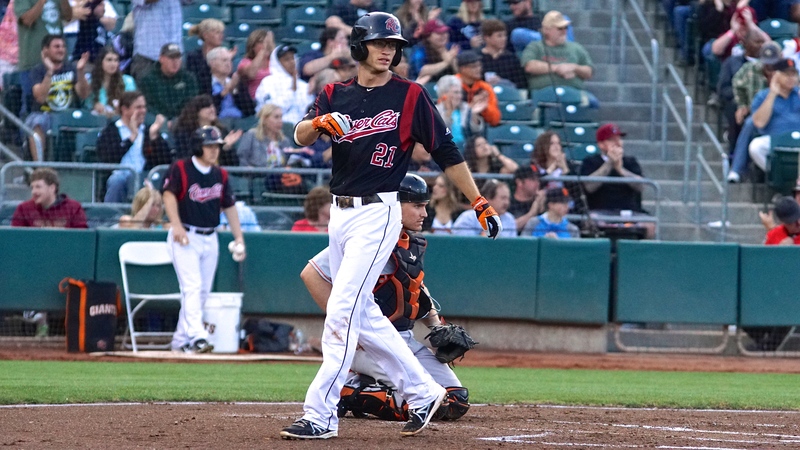 SALT LAKE CITY, Utah – The Sacramento River Cats won their third consecutive game over the Salt Lake Bees 6-3 Tuesday night and took the season series 12-4. The hot-hitting Jarrett Parker’s two-RBI night and the performance of the bullpen highlighted the series victory. With the exception of Brandon Hicks, every River Cat in tonight’s game recorded a hit. Both Ryan Lollis and Jarrett Parker had multi-hit and multi-RBI games. They are the active team leaders in multi-hit games with 24 and 26, respectively. The Bees got on the board first for the first time this series, but the River Cats didn’t stay down for long, exploding for five runs over the fourth and fifth innings to take the lead. Kevin Frandsen continued his hit-streak with a single in the fourth to give him ten consecutive games with a hit, starting 7/27 against Albuquerque. The team-high hit-streak is currently a tie between Juan Perez and Adam Duvall, each with 11 games. The River Cats kept the momentum going in the fifth inning, with Darren Ford singling and subsequently stealing second base. Ford now has 25 stolen bases on the season, putting him in 4th place in the Pacific Coast League. Parker later doubled on a line drive to bring home Ryan Lollis and Mac Williamson and give the River Cats a four-run lead over the Bees. Parker finished his night 2-for-4 with a single, a double, a walk, and two RBI. Tonight marked his 13th multi-RBI game of the season, bringing him to a .278 batting average and 53 total RBI. Lollis had two doubles on Tuesday night, hitting one in both the fifth and ninth innings. He went 2-for-4 with the two doubles, a walk, and two RBI. Lollis now has 24 multi-hit games and 4 multi-RBI games, good for a .341 batting average and 25 RBI on the season. Clayton Blackburn was battling early on, walking three through the first three innings. He was able to pitch himself out of the jams in the first two innings and he managed to keep the River Cats on track to win despite Salt Lake threatening on a few occasions. 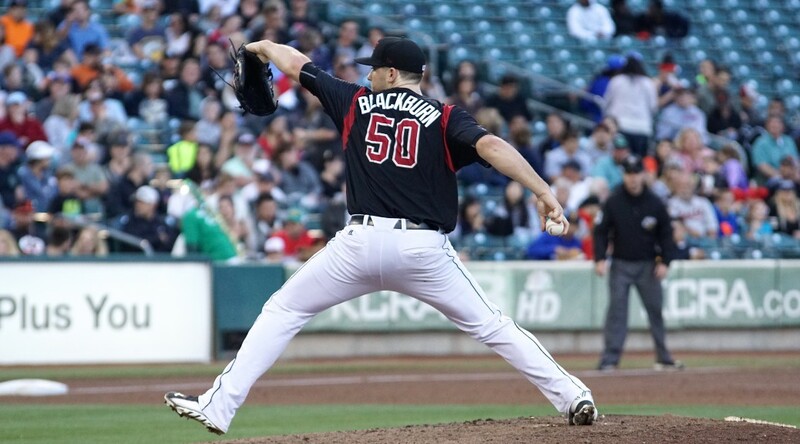 Blackburn pitched 5 innings, allowing 2 runs on 5 hits while walking a season-high 4 and striking out 7 on the way to his seventh win of the season. Other than a rare hiccup from Mike Broadway, the bullpen was consistent once again, combining for 4 innings of work and allowing 1 run on 6 hits while walking 1 and striking out 2. The River Cats will continue their road trip tomorrow in Fresno, kicking off a five-game set against the Grizzlies. This is the last time the two rivals will meet this season. Sacramento will send out lefty Nik Turley (5-5, 4.90). Turley is coming off his best performance of the year, where he allowed just one run over a season-high seven innings while striking out a season-high eight against the Las Vegas 51s. Fresno batters are hitting just .171 against Turley. The Grizzlies will counter with Asher Wojciechowski (6-2, 5.42). 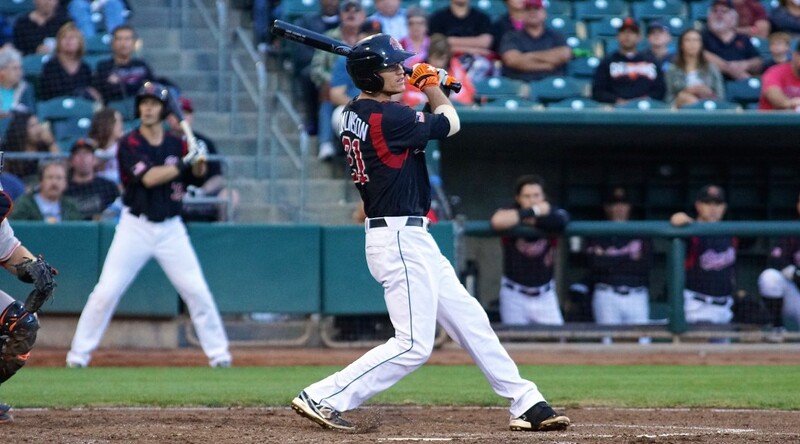 SALT LAKE CITY, Utah – The Sacramento River Cats brought their bats to the ballpark on Sunday, piling on the runs in a 15-6 victory over the Salt Lake Bees. Juan Perez led the way with a pair of homers, as every River Cat recorded a hit and scored a run in route to the big road win. After homering in the first inning of last night’s ballgame, Perez doubled off his efforts on Sunday as he recorded his second multi home run game this season. He launched a solo home run to left-center to lead off the third inning, and then a 3-run homer down the line in left in the top of the seventh. Perez finished the day 2-for-5 with 2 home runs and 4 RBIs. The big inning was key for Sacramento, as twice they put up at least five in one frame. Behind solo home runs by Perez and Jarrett Parker in the third, the River Cats pulled out to an 8-3 lead. In the seventh, a 6-run inning highlighted by a 3-run double from Brandon Hicks and the 3-run shot from Perez gave Sacramento an insurmountable 15-6 advantage. Hicks finished the game Sunday 2-for-4 with 5 RBIs. Along with his bases clearing double in the seventh, Hicks also drove in two with a single in the third. He was one of three River Cats to record a multi RBI game. Kelby Tomlinson recorded just one hit from the leadoff spot, but drove in 3 runs. Every starter for the River Cats scored a run and recorded at least one hit in the win, with four players having multi-hit games (Perez, Parker, Hicks, and Kevin Frandsen). Sacramento’s offensive outburst was good enough to tie their season high for runs in a game. The last time the River Cats put up 15 runs in a game came back on April 19, in a game that also took place against the Bees in Salt Lake City. In 6 games at Smith’s Ballpark in 2015, the River Cats are averaging more than 8 runs a game. Salt Lake did not go down easy, capitalizing on two big innings of their own. After Sacramento put up three in the second, the Bees immediately countered in the bottom half to tie the game. In the next frame when the River Cats pulled ahead by five, Salt Lake put up another 3 runs in the bottom half to trim the deficit. The Bees finished the day with 13 hits, just two less than the River Cats (15). Pitching was nothing to brag about Sunday. Chris Stratton (2-3, 3.56) started for Sacramento, and allowed 6 runs on 11 hits, walking 2 and striking out 6 over 6 innings of work. Stratton won for the second straight time after starting the season with six no decisions. LHP Adam Wilk (4-8, 5.68) lasted just 2.1 innings for Salt Lake, allowing 8 runs (5 earned) on 9 hits, walking 1 and striking out 1. Mike Broadway pitched a scoreless ninth for the River Cats, lowering his ERA to an impressive 0.92. Game three of this four game set will take place tomorrow night, as Sacramento sends veteran right-hander Tommy Hanson (0-4, 8.44) to the mound. 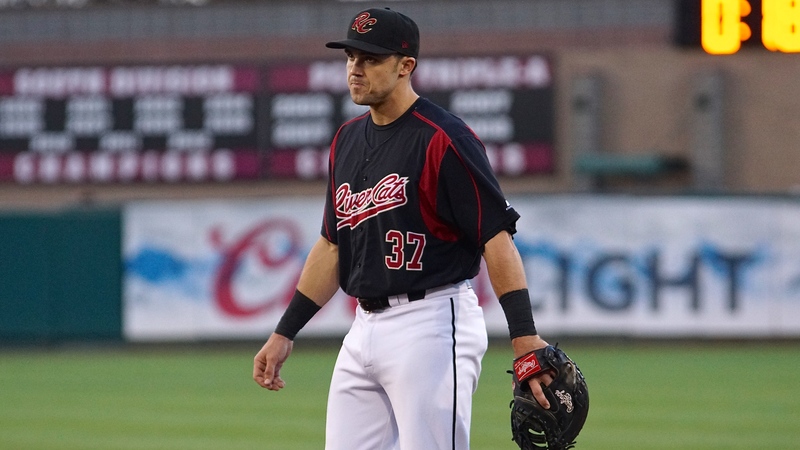 Hanson is still in search of his first victory in a River Cats uniform since joining the club on July 5. For the Bees, top-ten prospect RHP Nick Tropeano (3-4, 4.43) will get the starting nod. First pitch is set for 6:05 p.m. (PT) and can be heard live on rivercats.com and ESPN 1320. 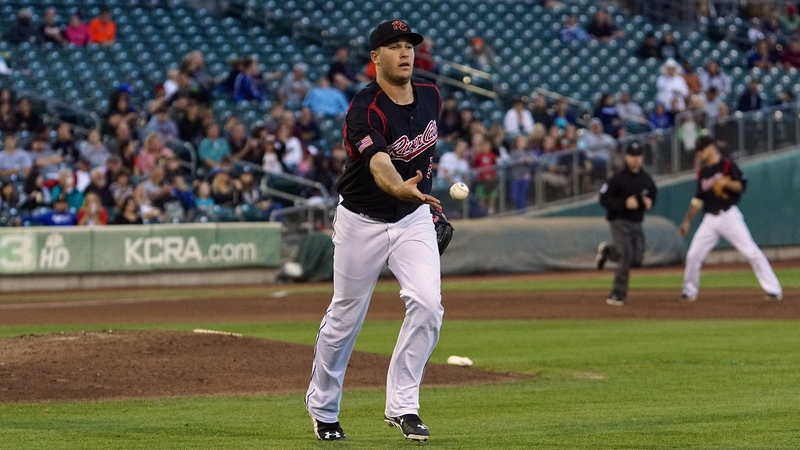 WEST SACRAMENTO, Calif. – Sacramento’s starter Clayton Blackburn led the River Cats in their 4-2 win over the visiting Las Vegas 51s Wednesday night at Raley Field. The right-hander tossed seven shutout innings and added to the offensive with a solo home run. In his 13th start this season, Blackburn (6-3, 3.50) stifled the 51s, scattering five hits across seven innings. He walked just one and struck out five while throwing 63 of his 94 pitches for strikes. Blackburn has won his last three starts, posting a 1.80 ERA over 20 innings and striking out 10. He has now gone seven innings in back-to-back starts. The right-hander also contributed with his bat, slugging the first home run of his professional career. The home run continued a recent trend for River Cats starters, who have been hitting the ball all over the field as of late. In their last four games, Sacramento’s starters are hitting a combined .556 (5-for-9) with a home run, five RBI, and a sacrifice. The rest of the offense came through for Sacramento tonight, as well, scoring four times on 10 hits. Adam Duvall put the River Cats up 1-0 in the second with a home run – his 26th of the season – to left field. Ryan Lollis was 2-for-4 with an RBI and Everth Cabrera went 2-for-4 with a run scored. Mike Broadway closed things out, making it look easy as he struck out the side in the top of the ninth to record his ninth save of the season. The hard-throwing right-hander touched 98 mph with his fastball and put away the 51s with a tight 87 mph slider. Broadway is now a perfect 9/9 in save opportunities with an 0.95 ERA for Sacramento this season. With the series evened at one, the River Cats will look to take the lead with a win tomorrow behind their left-hander Nik Turley (4-5, 5.37). The southpaw is coming off a rough start, but recently turned in a six-inning no-hit performance at home against the Fresno Grizzlies. Opposite him will be Las Vegas’ RHP Luis Cessa (7-1, 5.05). First pitch is set for 7:05 p.m. and the game can be heard online at rivercats.com and on the air on ESPN 1320. 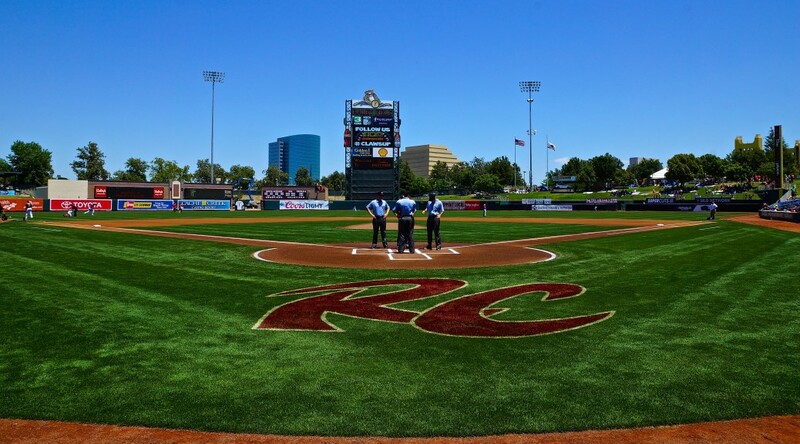 WEST SACRAMENTO, Calif. – While 7,000-plus took the day off from their office jobs, the Sacramento River Cats found themselves having one of those days as they dropped their matinee contest with the Chihuahuas 15-2 Wednesday afternoon. Right-hander Chris Stratton struggled out of the gate and the Sacramento bullpen was unable to back up their starter as El Paso piled on the hits. Stratton (0-3, 3.25) struggled early, unable to locate with most of his pitches. The right-hander left a lot of pitches up, and in 4.1 innings of work surrendered 6 runs on 8 hits and 3 walks while striking out 2. The 4.1 inning outing was his second shortest of the season and the 6 runs are a season-high. Sacramento’s lefty Steven Okert (2-3, 4.69) inherited Stratton’s tight spot with two runners on and one out and was unable to stop the bleeding, issuing three consecutive walks. Okert’s appearance was brief as he was unable to get the second out, allowing 4 runs on 2 hits to give the Chihuahuas a commanding 10-1 lead. El Paso added five more in the last three innings, scoring off both Cody Hall and Curtis Partch, eventually going up 15-2 in the eighth inning. Outfielder Alex Dickerson led the way for the Chihuahuas, going 5-for-5 with a double, a walk, and 3 RBIs. 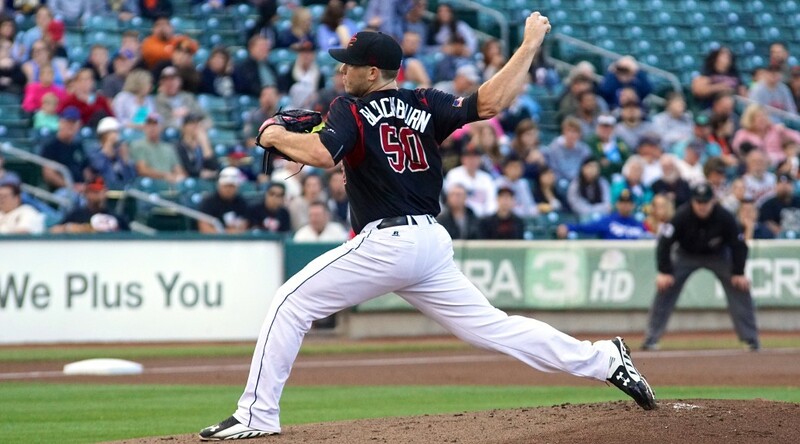 Overall, the Chihuahuas collected 17 hits, 15 runs, and 8 walks – all season highs for Sacramento pitching. It wasn’t all doom and gloom for Sacramento, though. River Cats outfielder Juan Perez went 1-for-3 with a triple, his second of the season, and drove in a run. Adam Duvall also picked up an RBI in the contest, his 67th, moving him into fourth in the PCL. Hard-throwing righty Mike Broadway pitched a perfect ninth inning for the River Cats, lowering his already impressive ERA even further. Broadway has an even 1.00 ERA in 36.0 innings pitched and has compiled a 48:8 K:BB ratio in that time. San Francisco’s Nori Aoki made what is expected to be his final rehab start with the River Cats, playing seven innings in left field while going 0-for-3 at the plate. The left-handed hitter hit the ball hard in all three at bats, but came up empty in the hit column. Aoki is expected to join the Giants this Friday for their series against the visiting Oakland A’s. Before that, the River Cats will close out their four-game series against El Paso tomorrow night at 7:05 p.m at Raley Field. Right-handed pitcher Tommy Hanson (0-2, 7.11) will take the mound against the Chihuahuas’ Daniel McCutchen (4-5, 4.52). The River Cats have faced McCutchen twice this season, and are hitting .265 with 5 runs against him in 8.1 innings. 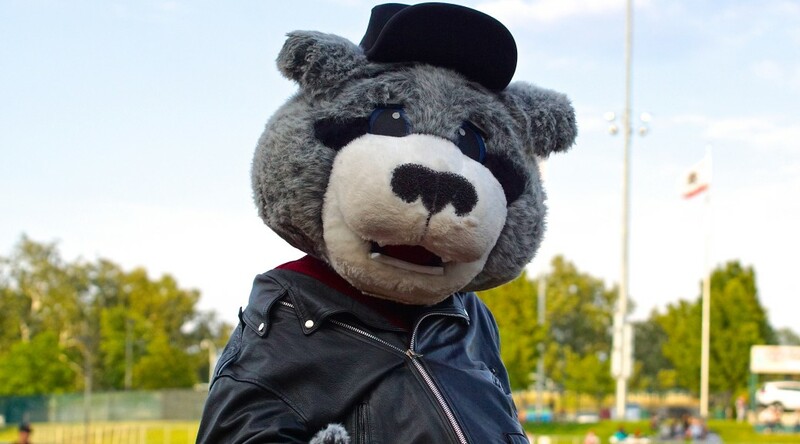 TACOMA, Wash. – The Sacramento River Cats locked down a victory in the first series back from the All-Star Break with a 7-6 win over the Tacoma Rainiers Sunday afternoon. Despite a season-high four errors, Sacramento was successful due in large part to a red hot Adam Duvall and his recent home run tear. Duvall continues to pile on home runs to his league-leading total, which has now reached 23. In his first at bat, Duvall launched one off Rainier’s starter James Gillheeney, bringing Lollis home with him for an early 2-0 lead. He added another in the fifth inning with a solo blast to tie the game after a big fourth inning from Tacoma. Duvall finished his day going 2-for-5 with two home runs and three RBI. Sandwiched between Duvall’s homers, Kelby Tomlinson knocked one out in the third inning for his second Triple-A home run. Ryan Lollis’ sixth-inning RBI-single gave Sacramento their first run of the day that did not come via the long ball. A wild pitch allowed Carlos Triunfel to add another run for a two-run lead over Tacoma. In the eighth inning, Darren Ford stole both second and third base after drawing a walk, setting the scene for Triunfel’s sacrifice fly to send him home. Ford now has a team-leading 21 stolen bases on the year. Tacoma cut the deficit to just one run in their half of the eighth, but Sacramento hung on for the win. 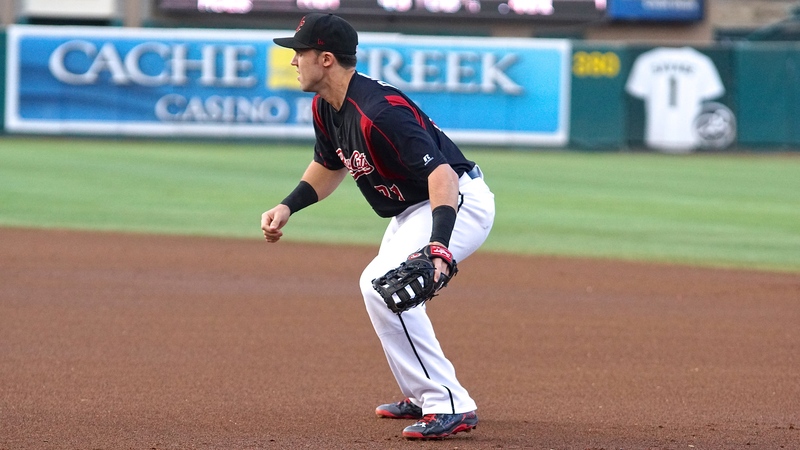 Errors plagued the River Cats once again with a season-high of four in today’s game. Two of the errors came from Triunfel in back-to-back plays. River Cats pitchers did well to pitch around the miscues, however, as only one unearned run ran across. The River Cats are now 8-20 overall in games where two or more errors are committed. Clayton Blackburn (4-3, 4.25) was hit around a bit today, allowing 5 runs (4 earned) on 11 hits while walking none and striking out 2 in 6 innings of work. Curtis Partch and Mike Broadway pitched in relief and fared better on the mound than Blackburn. They allowed just one run while striking out four. Blackburn still picked up a win, while Broadway recorded his eighth save of the season. The River Cats return home to Raley Field to start a four-game set with the El Paso Chihuahuas tomorrow. Sacramento’s starting pitcher will be lefty Nik Turley (3-4, 5.56), while El Paso will send out Bryan Rodriguez (0-0, 0.00) for his first career Triple-A game. Turley took a no decision in his last start, giving up 3 runs (1 earned) in 6 innings at home against the Fresno Grizzlies. First pitch is set for 7:05 p.m.